On April 16, Boeing celebrated the flyaway of the first BBJ MAX airplane, from the air-framer’s facility in Seattle on the first stage of its journey to becoming a fully outfitted BBJ Max 8. The plane was flown to Delaware Coastal airport. Local company Aloft AeroArchitects will now install Its PATS auxiliary fuel tank, which will boost the aircraft’s range to 6,640nm (12,230km)—some 3,000nm more than the standard Max 8, which entered service in 2017, and 800 more than the BBJ2 which it replaces. 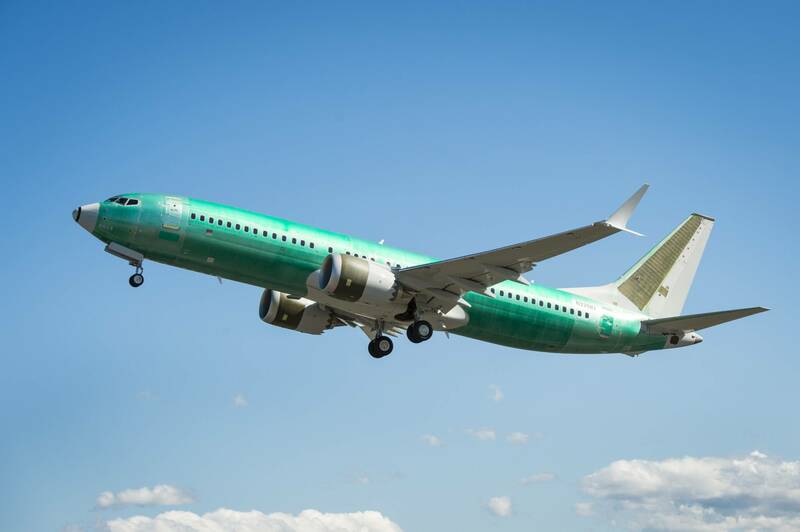 The green BBJ Max 8 is scheduled to arrive for outfitting in the fourth quarter at Comlux Completions in Indianapolis. The finished aircraft will be handed over to its undisclosed customer in the second half of 2019. “We are excited to see the first BBJ Max come to life and fly through the development milestone,” says Boeing Business Jets president Greg Laxton. ”In the past few weeks, the airplane has achieved factory rollout, first flight, multiple certifications, and now flyaway,” he adds. The BBJ Max 8 was launched in 2014 as the first member of the re-engined BBJ family. This will be followed by the BBJ Max 7 and BBJ Max 9. 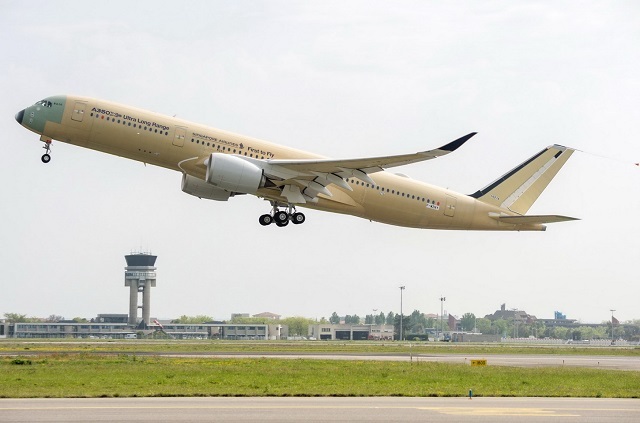 Airbus has conducted the maiden flight of its A350-900ULR, the heavier and longer-range variant of the twinge tailored to operate specialized long-haul routes. The initial aircraft, MSN216, departed the air-framer’s Toulouse headquarters on April 23rd. It features three primary modifications, of which two will be applied to all new-build A350-900s. Airbus has hiked the maximum take-off weight to 280t, and increase on the previous figure of 275t.It has also incorporated a series of aerodynamic changes which, it says, will contribute to a 1% fuel-burn saving. These include a further slight twist of the wings taller winglet, trailing-edge extension and clean-up of the upper wing fairing. All these adaptations will become standard on the -900. The ultra-long range-900ULR will have dedicated changes, primarily a higher fuel capacity. The center wing tank will not be increased in size but re plumbing of interior installations will provide access to another 24,000 liters ( 6,340 ) gallons of existing volume. Airbus puts the reference range of the -900ULR at 9,700 nm compared with the standard 8,100nm of the basic -900. Singapore Airlines has ordered seven-900ULRs and is set to take delivery of the first -900ULR this year, although Airbus declines to narrow the handover window beyond a second-half timeframe. The first A350-900 ULR) for Singapore Airlines has been revealed in the Airline’s livery following completion of painting in Toulouse. The aircraft is now set to move to the next stages of production, including the installation of engines and cabin furnishing, before starting ground and flight tests. 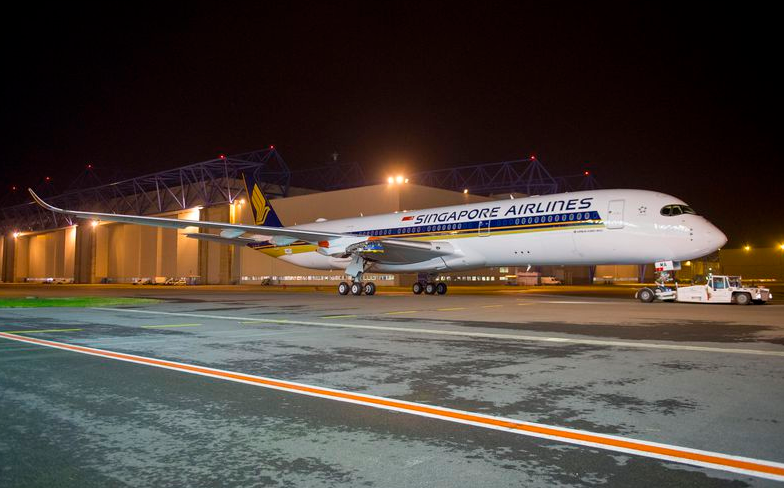 The Aircraft is scheduled for delivery to Singapore Airlines after all the testing is completed. Pilatus Aircraft delivered its second PC24 to its US dealer and maintenance provider Western Aircraft. The Handover comes as the first production example enters service with fractional ownership company Plane Sense. Pilatus plans to deliver 23 of the super tight business jets in 2018, from an order backlog of 84. Western Aircraft says it has seen strong demand for the PC-24, ”With more than a dozen offers to buy the first aircraft”. Despite the demand Western plans the second aircraft to its inventory, where it will be used for ad hoc charter and for the coming year as a Company demonstrator. PlaneSense, one of Pilates’s largest customers, has an order for six PC-24s, but is keen to acquire additional aircraft to bolster its fleet of 36 PC-12s. 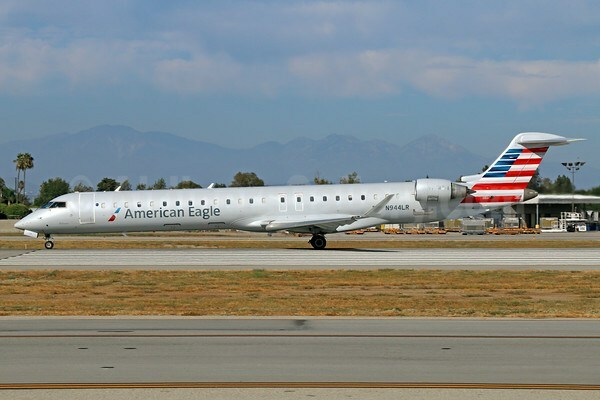 American Airlines has ordered 15 Bombardier CRJ900s and 15 Embraer E175 regional jets, deals with a combined list price value of roughly $1.4 billion. Deliveries of the CRJ900s with 76 seats to American Subsidiary PSA Airlines will begin in the second quarter of 2019 according to Bombardier media release. The Bombardier commitment, including an additional 15 CRJ900 options, has a value at list prices of $719 million. Bombardier stated that the aircraft will be outfitted with the Company’s new “Atmosphere” cabin, which includes overhead bins that can accommodate large roller bags. 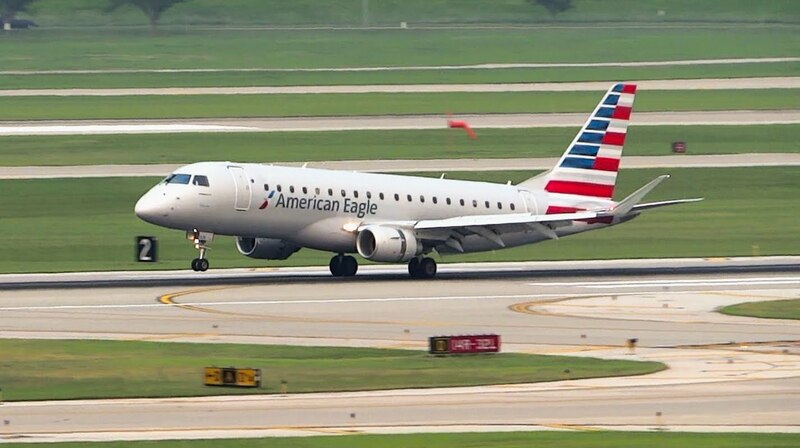 Embraer will deliver the 15 E175s with 76 seats to American Subsidiary Envoy from March 2019 to November 2019, the manufacturer says. That deal, including options for 15 more E175s, has a value at list prices of $705 million. It follows an order by American for 10E-Jets in October 2017. All Nippon Airways (ANA) three A380s will be exclusively introduced to the Tokyo-Honolulu service and each cabin is specially designed to meet the passenger’s needs on this route. Honolulu is loved by many Japanese families, couples, newlyweds and Hawaii is a popular destination for their vacations and honeymoons. With this in mind, ANA aims to make their experience onboard more comfortable by strategically designing the cabin features in order to meet their unique needs while providing them with a once in a lifetime experience. In March 2017, ANA announced the special livery motif FLYING HONU. At the time, the design ANA introduced was blue, an homage to the Hawaiian blue sky. Since then ANA announced two more colors, green and orange. The emerald green is inspired by the crystal clear waters of the Hawaiian ocean and orange is a reference to the beautiful Hawaiian sunset. In order to make this triad, the FLYING HONUs, more familiar to everyone, ANA has created a character for each aircraft. 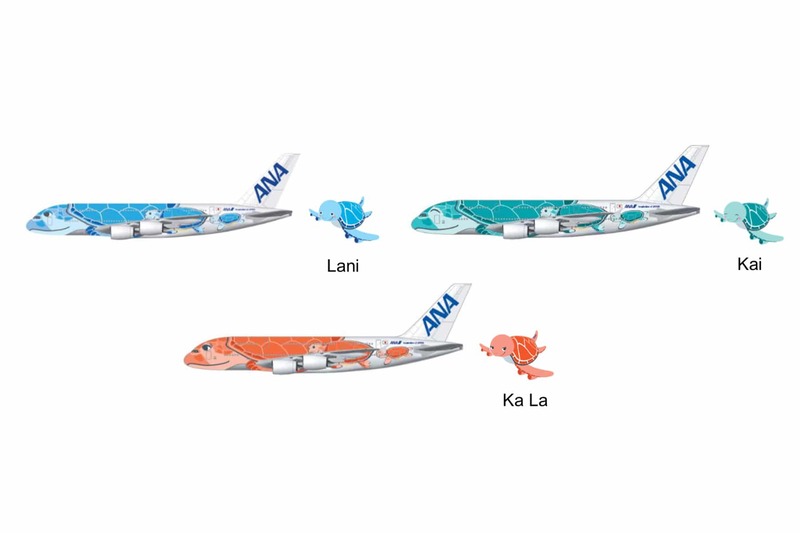 The blue character is named “Lani” meaning sky, while the emerald green character is named “Kai” meaning ocean, and the orange character is named “Ka La” from the Hawaiian word meaning sunset. The Cabin interiors have also been strategically designed in order for the passengers to feel the spirit of Hawaii from the moment they board the aircraft. The walls and lights have been arranged in such a way as to illustrate Hawaii’s enviable blue skies, sunrises, sunsets, night skies and iconic rainbows. Air Italy has unveiled the first aircraft featuring its new livery. The first 737 Max 8 has been painted with the scheme, which incorporates the maroon shade prominent in the branding of shareholder Qatar Airways. Air Italy, formerly Meridiana, had only previously shown the livery as a digital mock up. In March, the full-service carrier announced that it would be adding five A330-200s and three 737 Max 8’s to its fleet as the summer season commences. 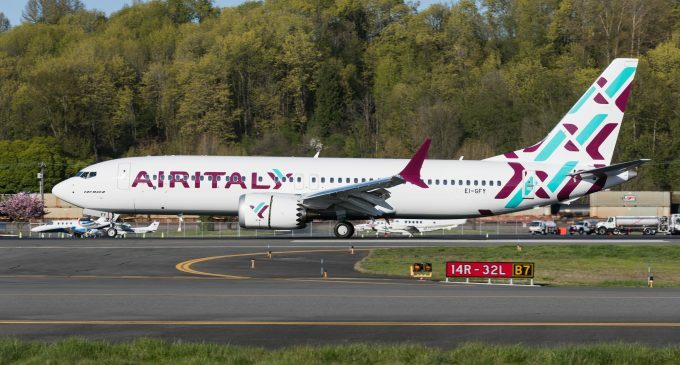 The aircraft are being leased from 49% shareholder Qatar Airways as Air Italy embarks on a rapid short-and long-haul expansion program with Milan Malpensa as its focus. Flights under the new brand name commenced on March 1st, operated with 737s and Boeing 767s still bearing Meridiana’s livery. Those aircraft will be phased out as the A330s and 737 Max 8’s enter the fleet. In May 2019, the airline is set to begin receiving Boeing 787s, also leased from Qatar Airways. Air Italy will have a fleet 50 aircraft by 2022. A period of good economic conditions has led to complacency among low-cost carriers that is ripe for a “correction”, in the view of former EasyJet chief executive Ray Webster. Speaking at the Routes Europe conference in Bilbao on April 23, Webster—who was chief executive of EasyJet between 1996 and 2006—said that outlook for low-cost airlines was “quite worrying” as they were unprepared for future economic shocks. A period of “very good” economic conditions has been punctuated by the lack of a “serious downturn or runaway fuel prices”, he states. As a result, carriers have not been put under”pressure” and so have “incrementally added Costs” and lost efficiencies over time, while not experiencing the typical “ Peaks and troughs” of the market. Webster forecasts that oil producers could raise prices, which would have a “dramatic” impact on airline bottom lines. Southwest Airlines orders 40 more Boeing 737 MAX jets worth $ 4.68 billion. Bombardier concluded a firm order with Ethiopian Airlines for 10 new Q400 aircraft, plus five options. Based on list prices, the order is valued at $332. Qantas has firmed options on six additional Boeing 787-9s, once delivered, the new jets will take its 787 fleet to 14 aircraft and will be powered by GEnx engines. Uzbekistan Airways finalized an order with Boeing for one Boeing 787-8, valued at $239 million at current list prices. 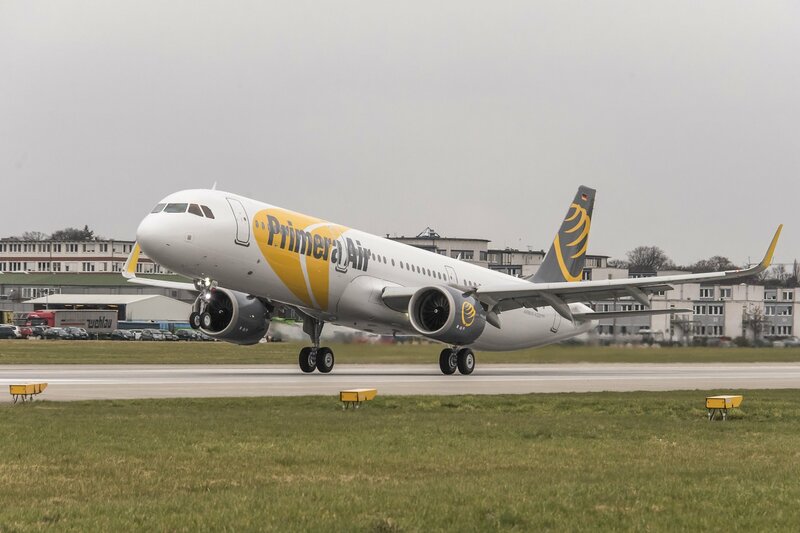 Primera Air European leisure carrier has taken delivery of its first Airbus A321neo is the first of three A321neos that Primera will lease from GECAS. Taiwan’s Far East Air Transport will take the 11 Boeing 737 Max 8s it plans to acquire on operating lease. Drukair of Bhutan has signed a purchase agreement with Airbus for a single A320neo. Lufthansa orders up to 16 Airbus and Boeing aircraft. The orders include 12 A320 family aircraft and four 777s, two 777-300ERs for Swiss and two 777 Freighters for Lufthansa Cargo. 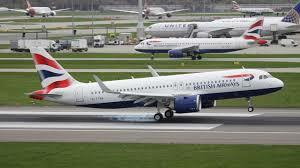 British Airways has put its first Airbus A320neo into service with a flight to Lisbon, Portugal. 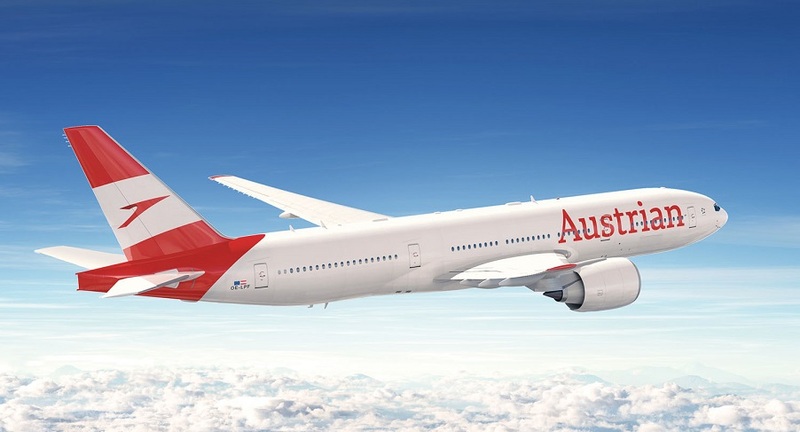 Austrian Airlines modified its livery showing much larger Austrian titles on the fuselages well as red bleed from the flag scheme onto the aft fuselage on the first 777-200ER. On April 19th Boeing announced the delivery of the first 737-800 Boeing Converted Freighter(BCF) to GE Capital Aviation Services (GECAS) and the freighter will be operated by West Atlantic Group, based in Sweden. West Atlantic will receive four 737-800 Converted Freighters within the next 11 months, once delivered, the company will operate 23 Boeing 737 freighter aircraft. “We are very proud to be the launch customer for the 737-800BCF, and pleased to supply this inaugural aircraft to West Atlantic,” said Richard Greener, GECAS’ Senior Vice President & Manager, Cargo Aircraft Group”. Boeing’s Current Market Outlook forecasts over the next 20 years, customers will need more than 1,100 standard-body converted freighters. Boeing has received 45 orders and commitments, from seven customers including: YTO Airlines, based in Hangzhou, China; China Postal Airlines based in Beijing, China: GECAS, based in Ireland; Air Algeria, based in Algiers, Algeria; LAS Cargo, based in Bogota, Columbia; Cargo Air, based in Sophia, Bulgaria; and an unannounced customer. The 737-800BCF has 12 pallet positions which provide 4,993 cubic feet(141.4 cubic meters) of cargo space on the main deck of the 737-800BCF.this is supplemented by two lower-lobe compartments, combined providing more than 1,540 cubic feet(43.7 cubic meters) of space for revenue-generating cargo. In April of this year Brazil Cargo carrier and motorcycle maker Harley-Davidson entered into a partnership that will help bikers get their motorcycles faster. Harley plans to increase output at its Manaus-area factory and use Modern Logistics’ road and airfreight network to transport bikes to 21 Brazilian dealerships. The new bikes will be flown to Brasilia or Viacopos, and then trucked the rest of the way, reducing average delivery times by four days. 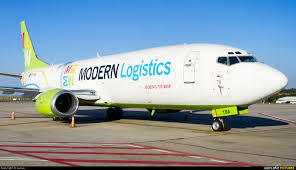 Modern Logistics uses 737-400SFs for the purpose. Engine OEM representatives discussed navigating challenges around support and spares when transitioning from old to new engine programs at Aviation Week Network’s Engine Leasing, Trading &Finance event in London. GE aviation, Pratt& Whitney and Rolls-Royce have expressed overall satisfaction with their new-generation engine programs despite some growing pains related to entry-into-service phase and the transition from older programs to newer ones. In a panel on new engine programs held at the event on May 2, Paul Finklestein, marketing director at Pratt & Whitney, acknowleged the struggles encountered by Pratt & Whitney on the PW1100G greed turbofan(GTF) program over the past few years. Currently in operation on around 150 aircraft comprised of Airbusa320neo, Bombardier Series and as of early-May, Embraer E190-E2 aircraft Finklestein said the modifications have smoothed over some of the challenges with the engine program. Meanwhile, Brian Ovigton, engine services marketing director at GE Aviation, said the OEM experienced a relatively smooth entry-into-service (EIS) of its new engine type—the CFM LEAP family for the 737 MAX and the A320 new narrow bodies and the GEnx, an option for the 787 and the 747-8.Both engines have yet to experience AOG incidents, he said. Alastair Knox, head of aircraft transitions at Rolls-Royce, said the British engine makers “very pleased” with the results of the Trent XWB, found on the Airbus A350 aircraft and the Trent 1000 powering the Boeing 787. Despite Rolls-Royce’s satisfaction with new engine types, Knox said there are some challenges to consider dependent on the size of the carrier awaiting new models to enter their fleets. 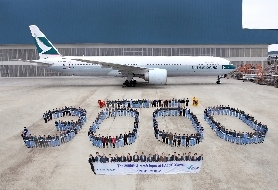 Hong Kong Aircraft Engineering Company Celebrates a Milestone ( HAECO) Xiamen-based business unit has completed its 3000th maintenance check since it started operations in March 1996.To mark the occasion some of the firm’s staff posed in front of the milestone aircraft, Boeing 777-300ER before its redelivery to Cathay Pacific. Safran has an AirAsiaX contract to maintain Airbus A330 landing gear at Singapore through 2025. GE Aviation Acquired a stake in Avionica as part of an agreement to form joint venture to provide wireless data collection and processing for connected aircraft. All Nippon Airways (ANA) will bring its Boeing 737-500 out of retirement in July as a dedicated maintenance training jet to help assure its maintenance technicians have the best tools for training and to ensure the highest level of quality maintenance. ANA is the first Japanese airline to incorporate a non-operating fully functional jet into its training program. Spirit AeroSystems announced it has completed the first fuselage as well as other components for the first Boeing 737 MAX. 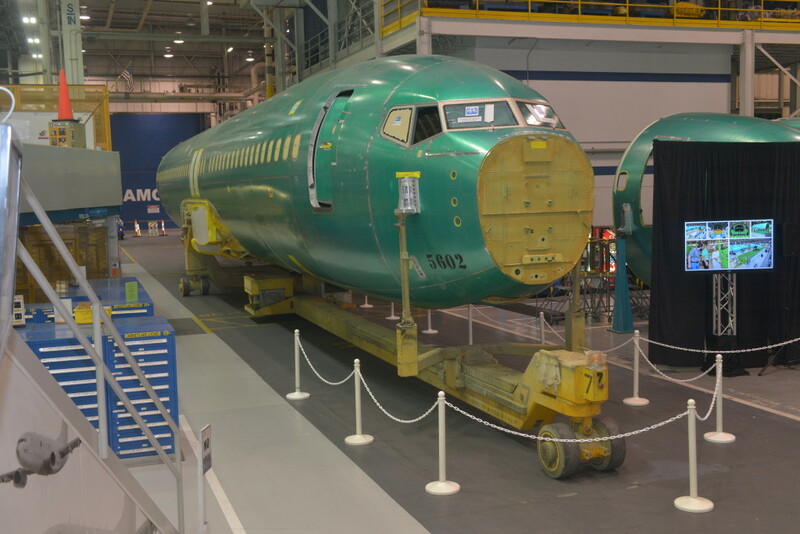 Spirit delivers approximately 70 percent of the 737 structure to Boeing including the fuselage, pylon, thrust reverser and engine nacelle at its Wichita, Kansas facility and the wing leading edges at its Tulsa, Okla. facility. 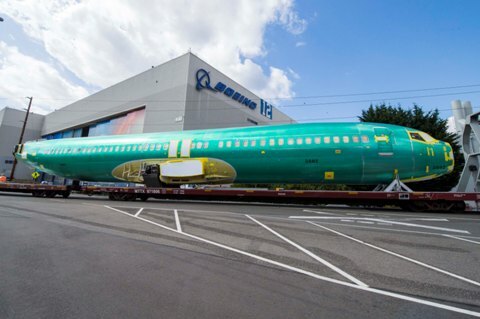 The first 737 MAX fuselage has arrived at the Renton site on Friday, August 21st. Assembly of the first MAX is scheduled to be complete by the end of 2015 with the first delivery to customers scheduled for the third quarter of 2017. The new 737 MAX will deliver 20 percent increased fuel efficiency to airlines versus the original Next-Generation 737. Boeing has already booked more than 2,800 firm orders with 58 different customers. The wide body passenger jet (tail number N661) flew its final flight from Honolulu International Airport to Hartsfield Jackson Atlanta International Airport. 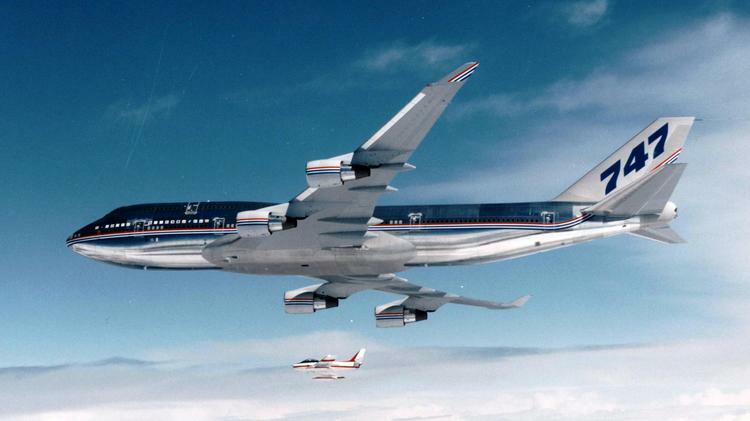 While it was the first 747-400 Boeing built for Northwest, it was the third to fly for the carrier because Boeing held on it for longer testing. The Boeing 747-400 was the biggest model of the 747 family when it was released and is the best-selling aircraft Boeing jet. Boeing sold the first ones for about $150 million each. Delta’s 747-400s were inherited by Delta, when the two airlines merged. It carries 376 passengers and cruise at about 560 mph, with a range of 7,400 miles. Since it was delivered to Northwest Airlines it logged more than 61 million miles, enough to make 250 trips from the Earth to the moon. It will move to Atlanta’s Delta Museum in early 2016. Airbus has debuted the A350-900 at the 12th Moscow air show (MAK-2015) at least three years ahead of the first delivery to the type’s only customer in Russia. 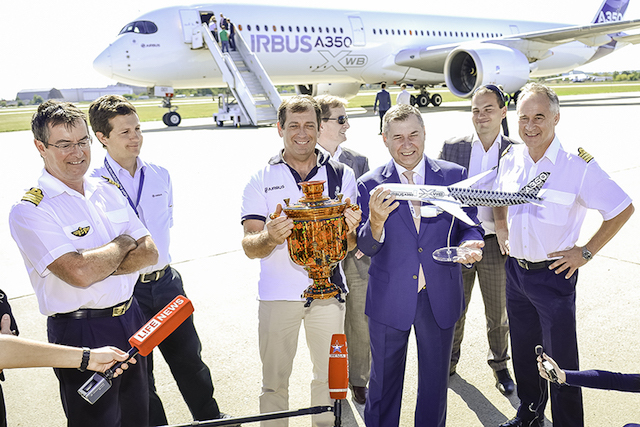 Airbus A350 test pilot Frank Chapman piloted the A350-900-MSN-001 from Toulouse,France landing on August 24th at the Ramenskoye airport that hosts the biannual air show. The A350 arrives in Moscow as Russian customer Aeroflot continues to evaluate several details about its original order, including the timing and number of deliveries and current mix of 14 A35-900s and eight A350-800s. Airbus cancelled the A350-800 program last year, Aeroflot remains one of the few customers that have not decided what to do with its order. But Aeroflot has vowed not to cancel the A350-900 order in full. Last year, Aeroflot expected to take delivery of the A350-900s between 2018 and 2020, but not does not discuss a timetable for the aircraft. Supporting the carrier’s decision likely figured large in Airbus’ decision to bring the A350-900 to MAKS for the first time. 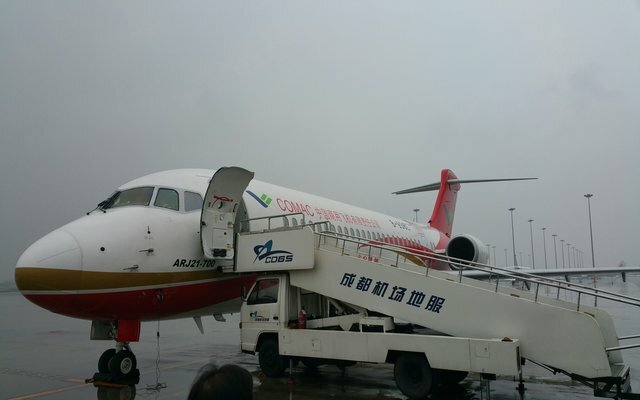 Comac is working toward an internal target to deliver its first ARJ21-700 to launch customer Chengdu Airlines on November 28, 2015. The date holds significance for the Chinese airframe since it marks the day the indigenous regional jet took its first flight back in 2008. Vice Chief Designer at Comac said Comac is still working on making changes to the ARJ21 despite receiving type certification from the Civil Aviation Administration of China(CAAC) last December. He adds that while these issues do not relate to the safety of the aircraft, they could affect the operational efficiency of the jet. Examples include changes that need to be made to improve how the aircraft’s anti-icing system functions in the event of a single-engine operation, as well as to the warning system to help enhance pilot’s operational awareness and help them better anticipate possible flying situations. WestJet has taken delivery of its first Boeing 767-300ER, adding a wide body aircraft to its fleet for the first time. The Calgary-based low-cost carrier (LCC) has operated an all 737 fleet since its founding in 1996, and in 2013 launched a Bombardier Q400 regional subsidiary called WestJet Encore. The airline is slated to take delivery of four 767-300ERs over the next eight months, with the fourth expected to arrive just before it launches 767 flights to London Gatwick in May 2016. The first has arrived at WestJet’s base in Calgary and will be used on flights between Toronto and Calgary for several months, the carrier said. The next two 767s will arrive this fall,and WestJet will launch 767 flights between western Canada and Hawaii and between Toronto and Montego Bay for its winter schedule in December. The airline’s 767s will seat 262 passengers, including 24 in premium economy, but will have no first or business class seats. The aircraft will be able to fly up to 11 hours. Alaska Airlines plans to take delivery of its first Boeing 737 Max 8 early in late 2017. The Seattle-based carrier will take delivery of its first 737 Max about six months after launch customer Southwest Airlines takes its first aircraft, says its vice-president of capacity planning John Kirby at the Boyd International Aviation Forecast Summit in Las Vegas. “Boeing has indicated that it maybe ready a little early,” says Kirby. 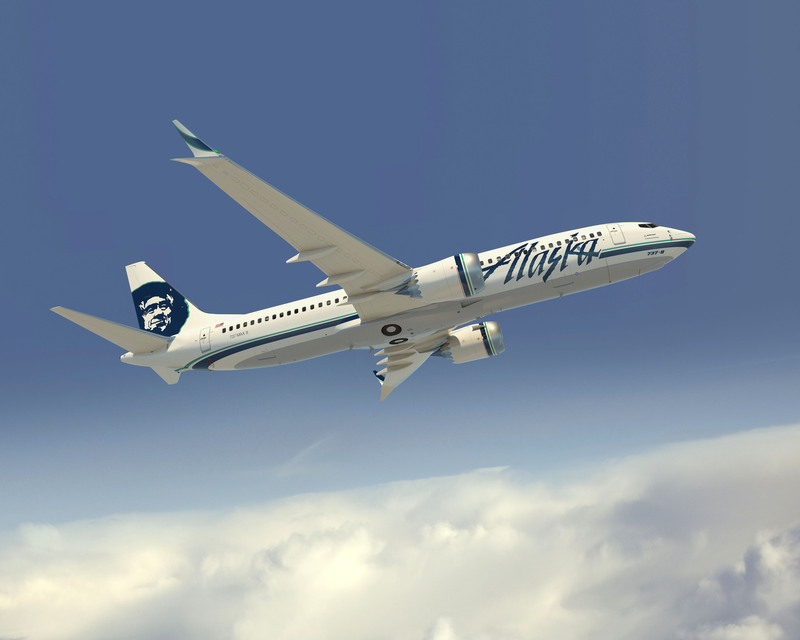 Alaska previously anticipated its first 737 Max 8 in 2018. The airline has firm orders for 37 737 Max aircraft, including 20 737 Max 8s and 17 737 Max 9s. Alaska operates a fleet of 143 737s, including 27 737-400s, 14 737-700s,61 737-800s and 41 737-900ERs. The Vietnamese government has dropped all plans to confirm options on four Airbus A380s it signed up for in 2009. The Vietnamese flag carrier Vietnam Airlines cited “increased pressure of arranging capital for aircraft purchases” as a key factor, along with slow progress on the planned Long Thanh International Airport at Ho Chi Minh City-the only Vietnamese airport with enough capacity to handle A380 aircraft. Vietnam Airlines also has reportedly scaled down its original plan to boost fleet size to 150 aircraft over the next five years, and will instead grow to just over 120 aircraft. The airline which is scheduled to take delivery of eight Boeing 787-9s and 10 Airbus A350 XWBs up to 2019 said that “ the world economic situation is more difficult,” and “fierce competition in the aviation market place” were both reasons for opting out of the A380 deal. This latest cancellation comes as an added blow for Airbus’s A380 program,which has seen several cancellations in Asia, including a significant six- aircraft order from bankrupt low cost carrier Skymark Airlines. Jet2 Budget carrier Jet2 has signed an order with Boeing for 27 737-800 aircraft. The deal marks the carrier’s first direct order with Boeing. Emirates takes delivery of the 65th A380. Emirates A380s serve 34 destinations and has a further 75 on order. Philippine Airlines is considering the acquisition or lease of eight 787 Dreamliners or Airbus A350 XWB aircraft. KLM Royal Dutch Airlines has switched an order for six Boeing 787-9s to the larger 787-10 to better fit with its network plans. Norwegian will lease two additional Boeing 787-9s, due for delivery in summer 2017, which it will use to extend its long-haul network. China’s Bohai Leasing is in exclusive talks to buy Irish aircraft leasing firm Avolon for USD$2.64 billion, after raising its offer to put it ahead of a rival bidder. 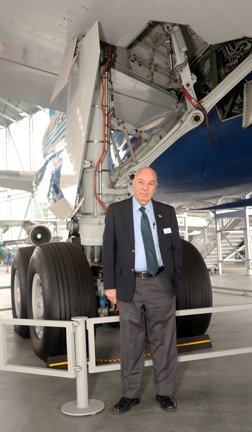 Tyler IATA CEO and director general Tony Tyler will retire in June 2016 after serving five years in the position. Tyler’s retirement was announced on Aug.28 and the search for his successor has begun. 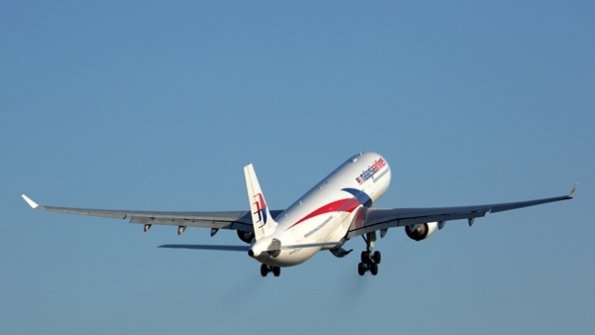 Malaysia Airlines has been granted an air operator’s certificate (AOC) by the Malaysian Department of Civil Aviation under its new name Malaysia Airlines Berhad (MAB). Mitsubishi Regional Jet( MRJ) test flight is scheduled for the latter half of October, Mitsubishi Heavy industries has announced. Emirates and Boeing celebrated the simultaneous delivery of three 777s- two 777-300ERs and one 777 Freighter – marking the entry of the 150th 777into Emirates fleet. Austrian Airlines Lufthansa subsidiary Austrian Airlines is preparing to receive the first of 17 modified Embraer E-195s. BoraJet Airlines Turkish regional carrier has taken delivery of three Embraer 195s from the Regional aircraft Group of GECAS, the leasing and financing division of GE. 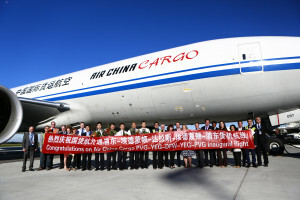 Air China Cargo began its first scheduled freighter service between China and Canada on the 3rd of September, when Air China Cargo 777F touched down at Edmonton International Airport by the traditional gun salute, commemorating the carrier’s first scheduled stop at the western Canadian airport. Air China Cargo will serve Edmonton six times each week, with a Shanghai-Edmonton-Dallas-Edmonton-Shanghai routing. This is the first Freighter route between mainland China and the Canadian province of Alberta, and a key step in connecting the two economies. It’s also the only freighter service between Alberta and Texas. Edmonton estimates that this new service will boost the GDP of the region by $31 million per year. Edmonton is situated near two business centers-the Nisku Business Park and the Leduc Business Park. It will provide opportunities for cargo businesses to work with Air China Cargo as well. The airport is also near major highways for easy truck transport. Northrop Grumman has delivered the 150th KC-10 Extender air-to air refueling tanker aircraft to the US Air Force after providing major improvements. 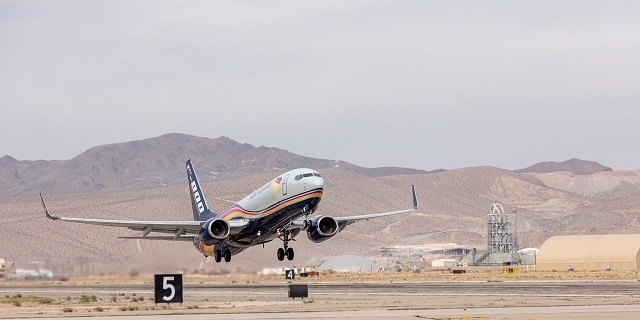 The aircraft received product reliability improvements as part of its CF6-50 engine overhaul program,offering a 15-year high in engine fleet performance. 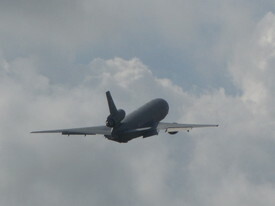 The KC-10 Extender can refuel aircraft midair while transporting personnel,equipment and patients on overseas deployments and aeromedical evacuations. Boeing has secured a $1.49 billion contract from the US Navy for 13 P-8A Poseidon maritime patrol aircraft, including the first four examples for the Royal Australian Air Force. The deal covers nine aircraft for the USN and four for the Royal Australian Air Force, the company says. “By working together since the early stages of the P-8A development, the US and Australia have created one airplane configuration that serves the need of both countries,” says Capt. Scott Dillon, the former’s P8 program manager. ”The Us and Australian P-8As will be able to operate with each other effectively and affordably for decades to come”, he adds. In early 2014, Canberra approved an A$4 billion ($2.9 billion) allocation to acquire eight of the 737-derived aircraft, with options for four more. This allowed Boeing to place long lead-time orders for parts for the first four aircraft. The P-8A will replace the RAAF’s fleet of Lockheed Martin AP-3C prions currently in their fleet.